“His driver Haqqani had gone out. On his return, he saw that Maulana Sami was lying in his bed in a pool of blood,” Hamid said while talking to Geo News. The news of his death comes at a sensitive time, with religio-political parties out on the streets protesting the Supreme Court’s acquittal of Asia Bibi, a Christian woman, in a blasphemy case. Maulana Sami, the chief of his own faction of the Jamiat Ulema-i-Islam, was unable to take part in the protest that was underway against Bibi’s acquittal due to road blockades and had returned home, his son said. “He was stabbed multiple times,” Maulana Hamid said. Maulana Sami’s driver/gunman had left the house, located in Bahria Town, for approximately 15 minutes when he was stabbed. Yousaf Shah, the maulana’s spokesman, said the attacker’s identity and their motive were not immediately known. Maulana Sami, said to be around 82 years old, was the head of the Darul Uloom Haqqania seminary in Khyber Pakhtunkhwa’s Akora Khattak. 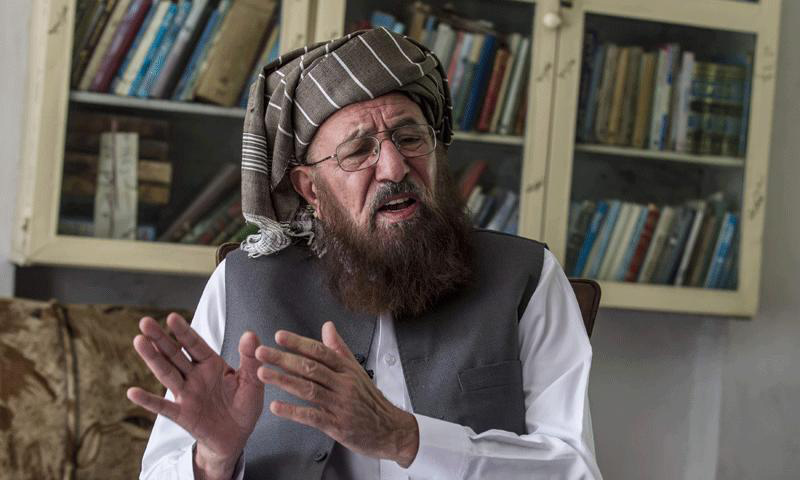 Last month, a high-level delegation from Afghanistan had called on Sami, known as the “Father of the Taliban”, at Darul Uloom Haqqania and urged him to play a role in resolving the Afghan issue. This is only getting more and more serious. First, the prime minister of Pakistan chose to address the nation against the extremist antics of a far-right group that was till recently on the fringe of politics. Second, when he opens his speech with a full justification of not only the Islamic basis of Pakistan’s creation, but also his own Islamic credentials, then it is time to worry. Third, and worse was the praise heaped on him in the social and print media, applauding his courage. This underlines the public perception that it takes rare courage for the head of a state that commands the 13th most powerful force among 133 countries, made up of some 919,000 total men, to quell a group of right-wingers whose core is probably less than a hundred. Clearly, things are far more serious than anyone imagined. First, one needs to examine why the prime minister felt impelled to address the nation on the sole issue of the actions of the actions of the Tehreek-i-Labbaik ya Rasool Allah (TLYRA). This is the group responsible for protests across the country against the Supreme Court’s judgment setting aside the death penalty for Asia Bibi, a fifty-plus Christian woman and mother of four, accused of blasphemy in what appeared to be a clear case of personal spite. The protests continue as of the time of writing, and are certainly widespread covering all major cities, including Peshawar and its outskirts. This could still have been viewed as a serious though straightforward law and order issue, were it not for the statements of the TLYRP leadership, including Khadim Hussain Rizvi. During a rally against the Supreme Court ruling, he and other leaders chose to not only designate the Chief Justice and the three judges as “wajibul qatal” (liable to be killed) but also provided a plan, asking drivers, cooks and guards to kill such judges. Worse, he called out the Chief of Army Staff General Bajwa and others as Ahmadis and anti-national, and called for rebellion against them. To most Pakistanis, this would have seemed to be sheer madness. But the conclusion of the State seemed to be that the Barelvi group had a clear and dangerous method to its madness. Thus, the prime minister made an address, and later, an offer of talks was made to the group. This fear can only be explained with a very brief history of the TLYRA. Its leader Khadim Rizvi was once a lowly Auqaf official fired for his patently undisciplined and venomous behaviour. His rise began in January 2011, when Governor of Punjab Salman Taseer, a staunch opponent of blasphemy laws and the Asia Bibi case in particular, was assassinated by Mumtaz Qadri, a policeman within his own guard. That set off Rizvi and he began the rounds of the country pleading for the assassin’s release. Several sit-ins and protests in 2016 were handled fairly firmly by the Sharif government and the group remained on the margins of political activity. By 2017, it had announced its decision to contest by-elections in Lahore, on the seat vacated by the now dismissed Nawaz Sharif. In that by-election, the TYLRA candidate won more votes than established parties like the Jamaat and the Pakistan Peoples Party. The same story was apparent in another by-election in Peshawar. In November 2017 came the crowning glory. A sit-in was was launched in Islamabad, which inexplicably turned violent as hordes of supporters suddenly emerged even as the Islamabad and Punjab police launched an operation to evict the protestors. Even more mysteriously, the army chief stepped into the now suddenly tense situation, asking “both sides” to show restraint. Worse, a Major General, Faiz Hamid, was not only involved in negotiating an end to the protests, but was also seen distributing money to the protestors, apparently with the utmost amicability. As per the protestors’ demands, the law minister Zahid Hamid was sacked, and thereafter, the script was predictable. In subsequent general elections, Rizvi’s party acted as a spoiler in the heartland of Punjab, splitting the religious vote and causing the PML(N) to lose its bastion, and eventually sit in the opposition. It appeared to be an operation conducted successfully and then ended, at least for those intelligence agencies who were on a mission to get Sharif out. Not so for the TYLRA. For them, this was just the beginning. In subsequent months, the group showed its mettle in several cases. It launched protests again on the issue of the Dutch parliamentarian’s cartoon challenge, and more seriously, seemed to be involved in an incident in which the Pakistan Interior Minister Ahsan Iqbal was shot at and wounded. The international links of the group were apparent when a rally was addressed via telephone by Tanveer Qadri , jailed in the United Kingdom for murdering an Ahmadiya two years ago. Reports indicated that the rallies were well attended and funded by persons across the political divide, which included Sheikh Rashid of the present government, and Sheikh Hameed of the PPP among others. By March however, the army’s Inter-Services Intelligence was reporting to the Supreme Court that Khadim Rizvi was a “corrupt individual”. Clearly, the party had ended. 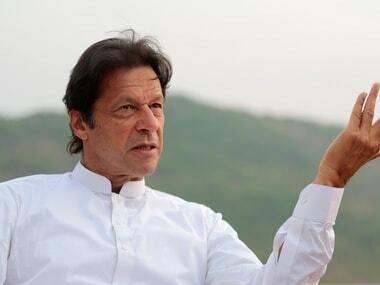 In sum, Imran Khan did indeed break away from the past in calling the TLYRA to task, and threatening dire retaliation. For that at least, he deserves credit. Why he almost immediately backed off by calling for talks may be explained by the fact that he may have been briefed in more detail by the Army Chief General Bajwa who seems to have met him just after his address to the nation. That would indicate that the Pakistan army has a different view from that of the interior ministry – and its intelligence bureau — which obviously led to a quick climb down from an aggressive posture. It is entirely possible that the army had a better picture of the group. But it does raise the uncomfortable question as to whether Imran Khan is going to be allowed to craft his Naya Pakistan or not. A strong crackdown on the belligerent group would have certainly been part of that newness. Clearly, the prime minister needs to ask a few uncomfortable questions as to who let the TLYRA cat out of the bag in the first place and with what expected consequences. At present, it seems that Khadim Rizvi and his ilk are not shy of biting the hand that fed them in their reach for a wider political base. This is a lesson that the Pakistan army’s agencies should surely have learnt by now, given that it has battled the Tehreek-e-Taliban and sundry others groups that turned from friend to foe when it suited them. If the Pakistan army can learn that lesson, then it will be one giant step towards ‘Naya Pakistan’. If not, the Khadim Rizvi saga will be just another sorry tale of a fate foretold.